The African Cycle of Life – Birth, Life, Death and Rebirth. Regardless of our culture, all of us must eventually face the realization that life is finite – we will not go on, in our present form, forever. Although death is universal, cultures vary in how participants in a culture conceptualize death. Death is universal, natural, persistent, inescapable, unavoidable, and an undeniable fact of life. On Wednesday, October 16, 2013 at around 3:00 am, Iku – the Spirit of Death in traditional Yoruba cosmology – struck his mighty hammer upon the soil at my father’s feet and summoned him home. He was 78 years old. After receiving the news, I – as an Awo (“Priest”) in the Yoruba traditional lifestyle called Ifa – performed necessary spiritual rites to ensure my father’s transition and ascendancy into Ancestorhood went well and then I informed my wife, who comforted me as I briefly wept. Then I picked up my pen and began to write; to do the very thing that keeps me sane in this often insane world – to write speculative fiction. I am a man fueled by culture – African culture(s); African-American culture; cultures from around the world – the living of it; the study of it. It is what drives me. African and African-American culture is me. Fiction, film, music and art are, of course, a part of that; however, culture is so much more. Culture is the total behavior, beliefs, and values of a group of people. It is the worldview, norms, and behavior patterns shared by a group of individuals. Culture profoundly impacts behavior and the family. It shapes how we make meaning out of life; out of relationships; out of death and dying. When we fail to acknowledge culture’s power and influence on us, we may find it challenging to care for, instruct, and learn from those with significantly different cultural experiences from our own. Culture provides meaning to events, objects, and people. 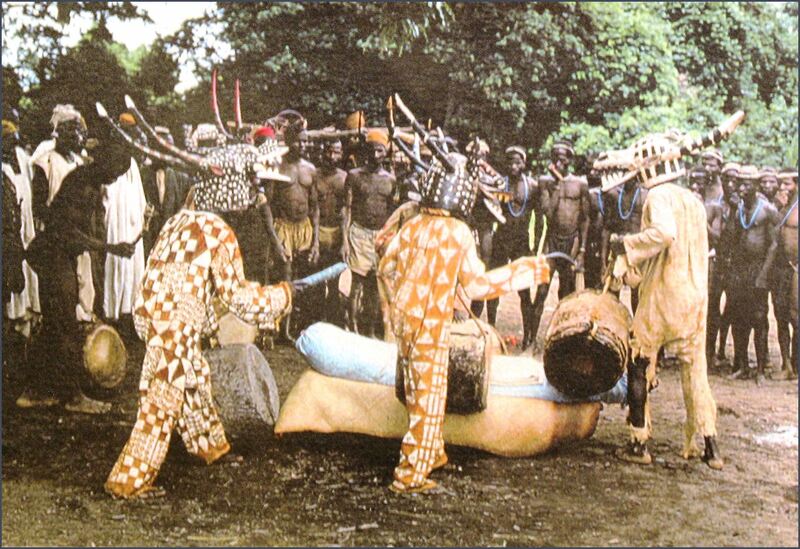 A traditional funeral in Côte d’Ivoire. In death, we witness the end state of the physical body. Yet, what we believe about the meaning of death, how death should be faced and what we believe happens after physical death varies according to our culture and its associated spiritual systems. In our culture, dying, in the popular mind, is associated primarily with old age. However, medical advances and increased life expectancy have demonstrated that old age does not directly cause death. Nonetheless, it is increasingly the old who die, making death predictable as a corollary of the aging process. The process of dying and the prospect of death are universal reminders of our mortality and vulnerability to physical decline. In discussing culture, I, like most African-Americans, have an African worldview. This worldview is the means by which I – and most Black people – interpret and act upon reality. The African worldview that our African-American Ancestors have handed down to us, though greatly modified, still forms to this day the underpinning of African-American society. In the American society, the fear of death results in an ongoing anxiety. We fear the inability to predict what the future might bring and the process of dying. We particularly fear suffering a painful death; in fact, we fear the suffering of that pain more than death itself. In order to fully appreciate how African-Americans understand death and dying, some principles of African philosophy must be considered. Many phrases are used all over Africa to describe the act of dying – returning home; going away; being called away; becoming one with the Creator; making the transition into Spirit; becoming an Ancestor. All of these phrases show the belief that death is not a complete destruction of the individual. Life goes on beyond the grave. Therefore, people of African descent combine our sorrow over the death of someone with the belief that death is not the end and our departed loved one continues to live in the hereafter. 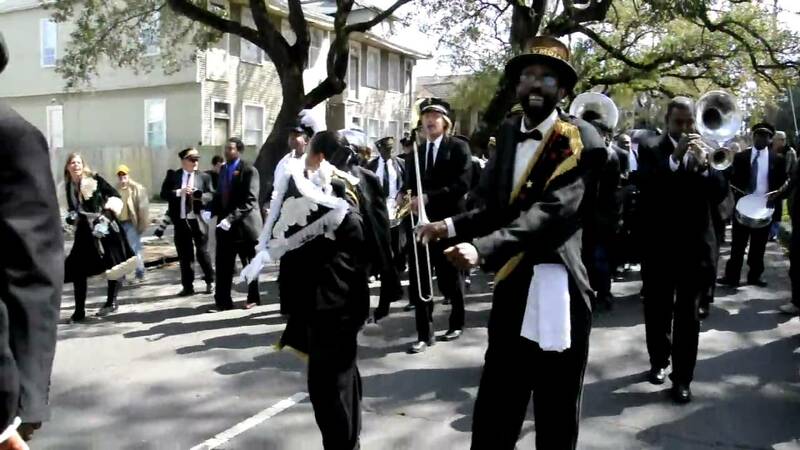 A New Orleans funeral procession. African-Americans are also quite sensitive to how things are done when a death occurs in the family. As death indicates the physical separation of the loved one from others, death signals a dramatic change. The funeral rites and ceremonies performed by African-Americans serve to draw attention to this permanent separation. African customs generally require that meticulous care be given to funeral rites to avoid undue offense to the departed, thus funerals in the African-American culture have come to represent a posthumous attempt to affirm the deceased person’s dignity and esteem, previously denied and limited in the broader American “culture” in which People of Color are often treated with minimal respect. The African principle of dual unity serves as a core concept of African-American culture – man and woman; day and night; the dead and the living…all viewed as having reciprocal and unifying functions, rather than dichotomous ones. Dual unity means that although death represents the spirit and the soul leaving the body, death is still inherently related to life, as opposed to representing the opposite of life. Death is a different dimension of the same phenomenon. Another concept is that spirit and matter cannot be separated. In traditional African philosophy the material world is seen as a manifestation of the spiritual world. Thus, life and death – the spiritual and material – are two parts of the same whole. Africans generally include a larger circle of individuals in their family membership compared with families of European origin. Traditional African societies include children, parents, grandparents, uncles, aunts, brothers, sisters, and the offspring of these relatives. Departed relatives remain in the family circle as Ancestors, who remain “alive” in the memories of their surviving families. According to African philosophy, an individual becomes conscious of his/her own being and responsibilities towards self and others through connections to other persons. In this sense, what happens to the individual happens to the entire group, and whatever happens to the whole group happens to the individual. I can only say, “I am”, because we are; and since we are, therefore I am. Although cultural beliefs from Africa do influence and direct African-Americans’ approach to death and dying, I must say that we are a culturally diverse people, so there are other factors that also affect African Americans’ end-of-life behaviors and rituals. When my wife’s first daughter succumbed to pneumonia, she dealt with the loss by going outside and playing basketball. Many found this strange behavior; some even deemed it inappropriate and questioned if she really cared about her child. However, she was handling her grief in her own way. Many people have told me how I need to grieve my father. They expect me to grieve their way; however, I must grieve my way, lest the pain become unbearable and I lose my mind. I am a man of culture. I am a man of ideas; a man of words; so I write. 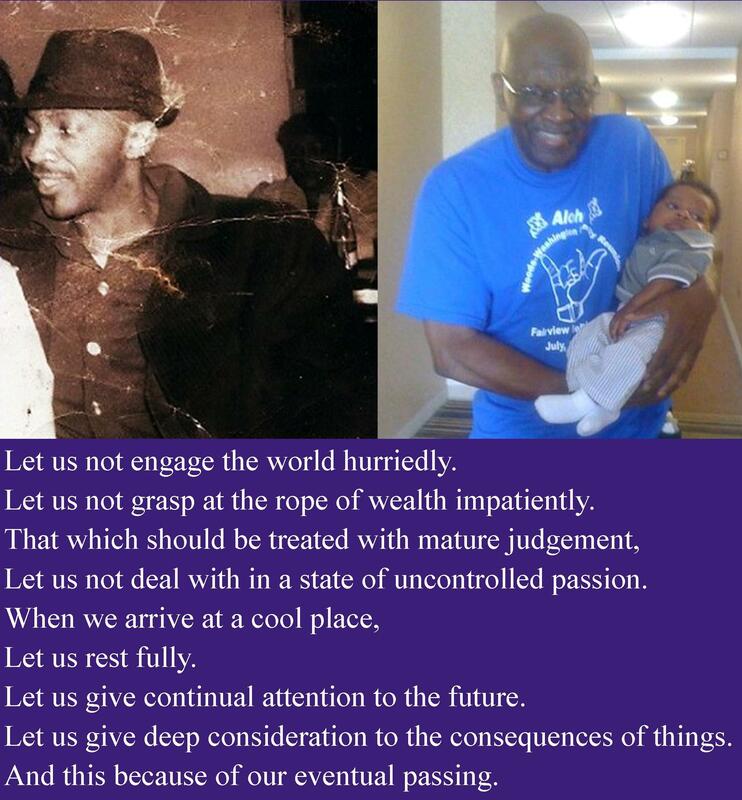 For my father – and for myself – that is what I will continue to do. Posted by Balogun on October 18, 2013 in Afrofuturism, Speculative Fiction, Steamfunk and tagged black speculative fiction, death, dying, steamfunk. I too am still grieving for my father. I don’t think I’ll ever get over the pain, we had so many things that we planned to do. But I know I’ll be with him again, and in fact, he’s still with me right now. And I can hear him now, right over my shoulder, telling me to stop sniveling and get to work. I pray that if you do not get over the pain, that you find ever-increasing comfort, Ruth. Thank YOU, so much, for your feedback! I cannot speak from a personal perspective because my father is stilll in this world with us. I can only say that I appreciate all that your father has left for us in this world. I wanted so badly to meet him from stories I’ve heard from word-of-mouth and your discussions but the ancestors called him to join them. I am honored to learn from his experiences and see the evidence of how the ancestors used him to influence so many people and still do today. Im sure he was a truly awesome person to know and love. I wish you well til your heart and soul are content. My name is Daniel Shelton; I am a social worker and grief counselor for a hospice in Las Vegas, NV. I have a Google Alert set on my computer for grief and grieving and recently your thoughts popped up. I am always looking for personal thoughts and experiences that might prove useful to those I serve and wanted to thank you for having the courage to share your difficult experiences. I wish you the best of luck in your personal healing and if there is anything I might be able to do to assist please don’t hesitate to ask.